THE profile of Nigeria’s telephone subscription remains on the increase, as the country’s teledensity is now 106 per cent. By implication, it is assumed that the telephone technology, especially the mobile has penetrated the nooks and crannies of Nigeria, estimated to have over 170 million populations. However, the multi-simming nature of Nigerians (subscribers having more than one network) because of the poor quality of services on the networks might have fuel the teledensity growth. There are subscribers in the country that are currently customers to the four networks, which are MTN, Globacom, Airtel and Etisalat, just to beat network challenges. Telephone density or teledensity is the number of telephone connections for every hundred individuals living within an area. It varies widely across the nations and also between urban and rural areas within a country. Telephone density has significant correlation with the per capita Gross Domestic Product (GDP) of the area. It is also used as an indicator of the purchasing power of the middle class of the country or specific region. NCC statistics showed that there are 88 million Internet users in the country, but majorly on the narrow band, which is the mobile technology (GSM and CDMA). The subscriptions increased from 86.9 million in April to the current figure. Further analysis of the statistics showed that MTN maintained the lead at the largest telecommunications firm in the Nigeria controlling 43 per cent of the market share with 61.7 million subscribers. 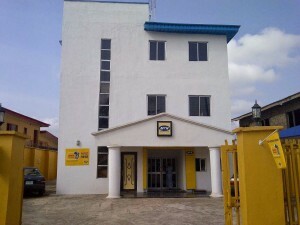 MTN is followed at a distance by Globacom, which has 30.5 million subscribers and 21 per cent market share. Airtel, whose parent company, Indian’s Bharti Airtel plans to sell four of its African operations to France telecommunications company, Orange Telecoms soonest, controls 20 per cent market share in Nigeria with 29.5 million subscribers. Hence, government should dwell on the network providers to improve their services. This will improve personal economy of the citizens as many would drop their additional sims and keep to only one.